16th in a multipart series. Please consider the following theological thought experiment. Let me know what you think. Instead, many Protestants prefer the less liturgical sounding term of “ordinance.” Baptism and the Lord’s Supper, otherwise known as the Eucharist, are “ordinances.” That sounds reasonable, and keeps us safely far away from those robed clerical figures, who wear those odd-looking big hats, or wearing long beards. This mystery is profound, and I am saying that it refers to Christ and the church (ESV). This wonderful verse from Paul’s letter to the Ephesians, is near the end of a passage (Ephesians 5:21-33), that describes the relationship between husband and wife, in the bond of marriage, a favorite at weddings. “Husbands are to love their wives, as Christ loved the church and gave himself up for her” (v.35). Marriage then, somehow, mysteriously refers to Christ’s relationship with the church. Many Christians “get” this notion of the mystery of marriage, as it relates to Christ’s love for the church, and how husbands and wives are to treat each other, and yet, they do not necessarily see a connection, in how the organic structure of the church, its ecclesiology, is also meant to reflect the character of God, in much the same way. Not all Christians are married. But all Christians are part of Christ’s body, His church. Would it not make sense, for part of this mystery, that which is revealed in marriage, to also extend to the corporate life of the church? male and female he created them. (Genesis 1:27 ESV). When Genesis teaches that we are made imago dei, it is doing more than simply explaining how we came into existence or offering an argument for why we should respect and care for one another. By revealing that we are made in God’s image, it is revealing how we are to exist, how we are made to live, and what it means to be human. Being human means sharing God’s nature in some way… living as he lives and doing what he does. (p.33). 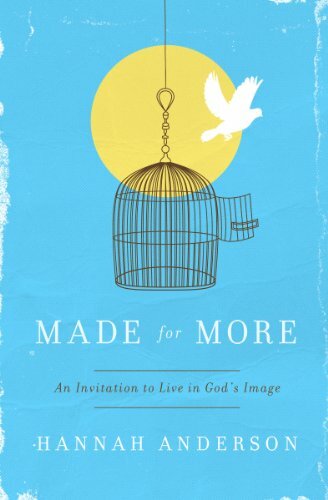 Anderson’s thesis is that before we even begin to think about the proper “roles” for men and women, we need to think about what being made in the image of God is all about. Put briefly, my extension of Anderson’s thesis is that men and women are equal with one another, but we are not interchangeable with one another. There is a “sameness” that men and women share together, but there is, at the same time, a quality of gender that we do not share. Any Christian theology of gender needs to grapple with that reality. What would it look like, for the church as a community to reflect this sense of being in the image of God? I must confess that I am not 100% sure about all of this, yet I would argue that the concept of eldership has something to do with it. But it might be best to start with describing what this sense of being in the image of God does not look like. On the one hand, complementarians are often very concerned about authority in the church, in how the command of God is to be properly passed on from God, down to us humans. Namely, this means that God speaks to the man, who then passes the word onto the woman. To reverse the order is to invite discord and treachery into God’s good order, for we know that the serpent sought to disrupt paradise by deceiving the woman, as opposed to challenging the man directly. I do not necessarily deny the truth of this, but it does not effectively get at the real depth of male and female, being made in the image of God, particularly when it comes to the question of church eldership. For the complementarian fault is falling back mainly on a rigid, top-down “chain of command,” that distorts the genuinely dynamic interplay between male and female in human relationships. Yes, order is important, and hierarchy is an inevitable necessity, but the mystery of the image of God often gets institutionalized and ritualized, where rigidity steps in, when complementarianism is driven to an extreme. Here is an example of how this gets distorted in some complementarian practicing churches (though you can see this, oddly enough, in some egalitarian ones as well): Sometimes, when a church brings on a new elder/pastor, who is, in fact, married, you get to meet the man, but you are only casually introduced to his wife, if she is introduced at all. It is as though the man’s wife is like an accessory, an expendable part of that man, which has the tragic effect of devaluing that woman. But as every man knows, behind every great man is a great woman, who supports him, and makes him who he is. I really wish churches would stop treating the wives of elders/pastors as mere accessories, and instead, view them as indispensable partners in ministry together. For the egalitarian, what matters the most seems to be a sense of equality, with respect to being in the image of God. As a result, the sacramental character of church eldership, as being constituted by men, tends to fall in the opposite direction, in contrast with the complementarian approach. It can become so lost and distorted, that the egalitarian thinks it best to largely get rid of the whole mysterious character of eldership altogether. So, the church life then no longer has a clear signpost, that points towards the reality of being in God’s family, whereby fathers and mothers together, train the younger men and women, to grow spiritually, in the image of God, as male and female. Rather, the egalitarian model threatens to secularize the whole thing, whereby the church corporate structure resembles that of a secular business, just with a religious face to it. Some complementarian churches are guilty of this, too. The head pastor becomes the CEO, and other pastors become vice-presidents, the fellowship of elders becomes the board, and the rest of the congregational membership becomes stockholders. This is egalitarianism driven to the extreme. Here is an example of where I see this tendency leading a church astray: When the elder board gets reduced to being like a corporate board, the fellowship of elders loses its mysterious, spiritual character. When the primary focus of what the elder board does is to set out something like the “long-term strategic vision of the church,” I am left wondering where the sense of spiritually shepherding the flock has disappeared to? It might be better to task a separate planning committee with working out the “long-term strategic vision of the church” instead. Sure, the elders can get involved, but if such activities take the elders away from their primary task of acting as shepherds for the flock, protecting them from doctrinal error, and rooting out body-destroying sin, that can poison the flock, then something crucial is lost. Some may protest that my critique of both sides are caricatures, or that I am not being fair. That might be true. Then, again, maybe not. Therefore, my brothers and sisters, you whom I love and long for, my joy and crown, stand firm in the Lord in this way, dear friends! (Philippians 4:1 NIV). Is eldership of a church merely an unfortunately necessary cog in the bureaucracy machine, of running a church, or does it have a sacramental quality to it, as mysterious as the Lord’s Supper? Let us narrow the concept of eldership to be a male-only eldership. Some on the egalitarian side might protest that the notion of a male-only eldership is an ill-fitting manner of sacramentally pointing towards the familial relations of brothers and sisters, fathers and mothers, growing together in the love of Christ. Christian love and fellowship, honoring men and women, can be done without the need for a male-only eldership. Sure, from a human perspective, male-only eldership sounds quite awkward (… and even offensive to some!). The Quakers of the 17th century came to such a conclusion. The Quakers were really among the first Protestants to advance the idea of “women preachers,” along with men preachers. The founders of the movement, George Fox and Margaret Fell, were able to push this idea forward because they completely rejected any mystical notion of “eldership” altogether. For these early Quakers, the concept of “eldership” should be discarded, a relic of Roman Catholic paternalism, a superstitious belief on par with a transubstantiation view of the Lord’s Supper. Still today, in traditional Quaker services, there is no one, single pulpit, from which the Word of God is expounded by a member of a leadership group, to the other congregants. Instead, Quakers gather together in silence, typically in a circle, only to have the silence broken when any member can stand up, as they are guided by their Inner Light, to speak of the things of God. Each Christian is simply “led by the Spirit” to say and do what they think best. Why depend on such an awkward and clunky thing as “eldership?” Good riddens with such superstition!! Quaker-Like “Radical Reformation,” Gatekeeping, and the Sacramental Function of Elders? Those early Quakers, and “traditional” Quakers today, and other such “Radical Reformation” proponents, have their critics. Those who believe that the Quakers have gone too far contend that the practical elimination of the office of elder and/or pastor has opened the door for theological chaos to enter the church. Such critics argue that elders/pastors act in the critical role of serving as gatekeepers. The gatekeepers are there to make sure that false teaching does not creep into the house of God. There is precedence for this “gatekeeper” view of eldership in the early church. As the Christians of the first few centuries of the church had to face different heretical movements, from within their own ranks, such as the Gnostics, the Ebionites (Jews who insisted that Gentiles keep all of the Mosaic law), Marcionites (those who rejected the Old Testament), and several others, the elders of the early church would encourage the faithful to stick with the orthodox leaders of the church. Wherever the bishop appears, there let the people be; as wherever Jesus Christ is, there is the catholic church. It is not lawful to baptize or give communion without the consent of the bishop. On the other hand, whatever has his approval is pleasing to God. Thus, whatever is done will be safe and valid (Letter to the Smyrnaeans 8). However, what if those Quakers turn out to be right? What if there really is no sacramental, mysterious meaning associated with eldership? If that is indeed the case, then my suggested argument falls flat. If the Quaker argument holds, then there really is no point in making any gender distinction, with respect to church office, since church office has no spiritual significance. 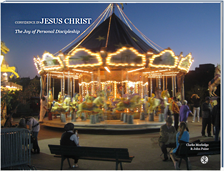 Church office is merely a necessity required “to get the job done,” of building Christ’s Kingdom. However, think about baptism for a moment. Is not baptism just as awkward as eldership? For we think of baptism as a type of washing, whereby Christians have been washed and forgiven of their sin. But as any Christian knows, just as soon as someone gets cleaned up, it does not take very long to become dirty again. As someone gets dirty again, you have to wash and clean up, yet again. But baptism is a one-time event in the life of a Christian. You do not get re-baptized every time you sin, as a Christian. Why then bother with baptism? If we accept Jesus into our hearts, and renewed from within, and we can experience the forgiveness of our sins, as we daily walk with God, why do we even need to get baptized with water? However, that baptism serves as a reminder that Christ died for us one-time only, so that we can come to Christ every time, and receive the forgiveness for our sin. Our baptism reminds us of the grace of God. Likewise, the celebration of the Lord’s Supper can mean different things to different Christians. 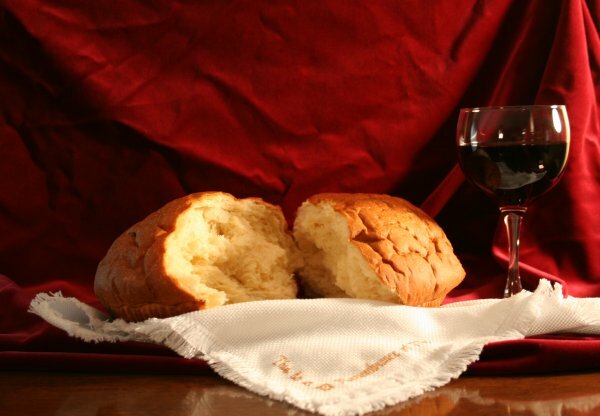 For some, the Lord’s Supper is merely a symbol, a memorial to something that Christ has done, for sure, but otherwise, this is only a bread mini-wafer and a sip of grape juice. But for others, the Lord’s Supper is a mysterious encounter with the divine. But we dare not get rid of the eucharist, for at the very least it serves as a physical reminder, pointing towards the spiritual reality of Christ’s sacrifice for us, on the Cross. So, yes, from a human perspective, a sacrament like baptism, or even the Lord’s Supper, looks rather clunky. But from God’s perspective, these are symbols that God has given us, describing the great and deep mystery of our faith. They are fitting physical representations of spiritual reality because God has revealed them to us. The Real Sticking Point: Gender With Respect to Eldership? If I was only talking about eldership, without any gender qualifications, folks might be with me so far. But let me see if you will allow me to press the point. Is it not then fitting that a male-only eldership might have a sacramental character, along the same lines as baptism, or even the Lord’s Supper? For a fellowship of male-only elders signifies that men and women, though all united together, as equal partners as brothers and sisters in Christ, are also non-interchangeable. Male is not female, female is not male. A male-only eldership visually and outwardly reminds us, at the level of the corporate life of the church, that men and women are equal, and yet different. Is it awkward? Is it clunky? Yes. For it does not seem to automatically recognize the woman-only domain that women have, in the life of the church. But it may just be fitting according to what God has had in mind. I am mindful of an idea that Hannah Anderson expresses, when she notes that when a mother at the hospital delivers a baby, no one bothers to ask, “Who is the mother?” It is quite easy to spot the mother. Rather, when the nurse comes out to announce the birth of the child, the question is asked, “Who is the father?” For identifying the father is not always so easy, when it comes to childbirth. Likewise, it would be analogous to say that the spiritual mothers of a church should be relatively easy to pick out. 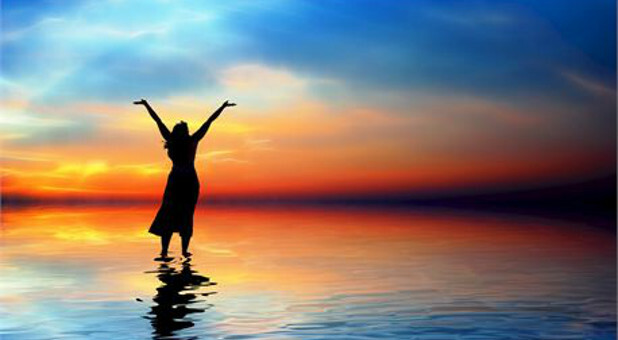 If you hang out in a local church community long enough, you should be able to spot who the spiritual mothers are quite readily (Blogger Jennie Pollock has some excellent tips on “How to Spot a Spiritual Mother” in the church, if you do not know how). For many egalitarians, any discussion about a supposedly sacramental, or mystical view of eldership seems completely irrelevant, particularly if it is male-only. Not all egalitarians will draw such a conclusion, but such a conclusion is common: What is the point? A church leadership structure serves nothing but a practical function, namely, to get the job done! For such egalitarians, the main issue is equal opportunity for women to serve at all levels in church leadership. To qualify that, in any way, rubs against the egalitarian conscience. Complementarians must come to grip with what binds the conscience of the egalitarian. For the complementarian, who accepts this mysterious quality of eldership as a given, submission to a woman elder, ANY woman elder, would be a violation of their conscience. Egalitarians must come to grip with what binds the conscience of the complementarian. This is only a very brief sketch, and I could be quite wrong about a lot of this. I could have this whole thing about male-only eldership completely sideways. There is a lot more work to be done to think through theologically as to what biblical eldership really looks like, assuming we even need it. Perhaps those 17th century Quakers were right all along!! But we need to start talking about eldership. I just find it strange that the sacramental, mysterious character of eldership is rarely discussed when it comes to the complementarian versus egalitarian debate, concerning church governance. It often devolves into obtuse discussions about who is in charge, who gets the power in the church, and comparing the relative competence of women with that of men, thoughts that completely pollute the spiritual nature of the conversation that we should be having. When I hear Christians get locked into language such as, “Why do the men get to make the decisions in the church, and not the women?,” then I know that the discussion has completely fallen off track. Back up and start over again, folks. At the end of the day, I am drawn back to this idea that male and female are created in the image of God, and that the life of the church, lived together corporately as brothers and sisters, fathers and mothers, is to somehow express this mystery of male and female together, united in the love of Christ. I have two more posts in this series, that I hope will tie everything together. The next one will be a modest proposal to move forward in this discussion, followed by some thoughts about the future. This entry was posted on Thursday, March 28th, 2019 at 8:00 am	and tagged with complementarian, egalitarian, women in ministry and posted in Topics. You can follow any responses to this entry through the RSS 2.0 feed. « Resolving the Question of Women in Church Leadership: Who Bears the Burden of Proof?